Fast prototyping is possible with a 3D printer. However, sometimes a higher 3D printing speed is preferred. Our helpdesk often receive the question whether it is possible to increase the 3D printing speed. This is possible, but it may affect the quality of the 3D print. In this blog, you will find 5 ways to increase your 3D printing speed, but also the effects that it can have on the final product. The most common way is to adjust the print speed in the settings of your slicing software. You can adjust the speed to your wish. 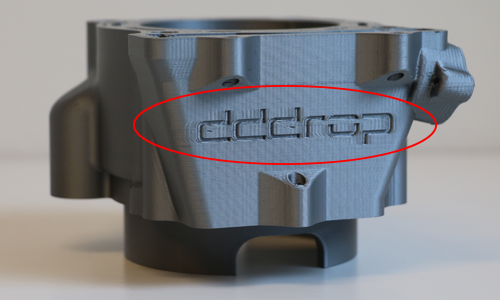 During the development of the dddrop EVO Twin, the control of the speed of the print head was an important starting point. This resulted in perfect acceleration and deceleration of the print head, which assures neat 3D-printmodels and efficiency in print speed. The overall print speed can be increased significantly without doing any prejudice to the quality of the 3D-model, even the ones with sharp corners. But, if you have a straightforward product,you can increase your 3D printing speed even more. Solid prints consist of thicker and stronger outliners and are filled in with honeycomb structure. If you do not use this structure, the 3D print will take a longer time before it is finished. However, if you already use an infill, you still have some options to increase your 3D printing speed. 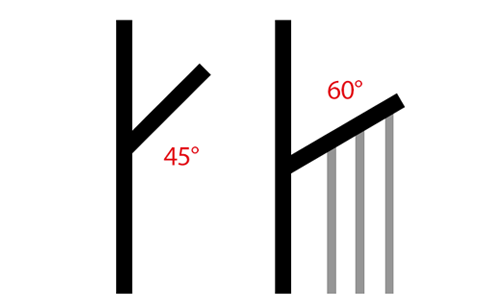 For example: try to reduce your infill even more, but keep in mind that the ratio between the wall thickness and infill remains good. This will prevent 3D models from collapsing. If you would like to try this, please contact our helpdesk (+31 314-377050) for more information. NOTE: a product with a lower infill density and smaller wall thickness is more vulnerable. Therefore we recommend to use this technique only with products where strength is not an important factor. For example: display models / prototyping. Read more about creating a strong infill. Bigger layer height will reduce print time. If accuracy does not matter, you can choose for printing with a larger nozzle and maximum layer height. The maximum layer height is 75% of the nozzle diameter. This means that with a 0.8mm nozzle you can build a layer of 0.6mm. Herewith the layers become thinner, which has an effect on the firmness of the product. Also, printing with thicker layers mean more loss of details. dddrop offers the right nozzle for every job: super detailed or super-fast. 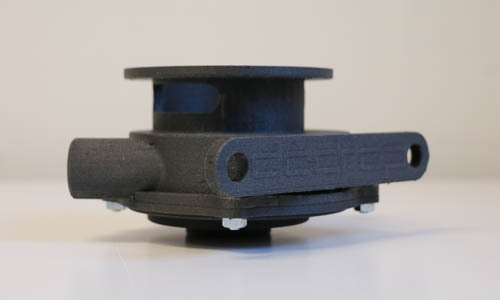 You can choose from the print heads: 0,2 – 0,4 (standard) – 0,6 – 0,8 – 1,0mm. Sometimes we receive the question: “I would like to have this product finished today, because then I can start a new print before I go home”. In this case, we advise you to print both products in the same batch. Both products are finished the next morning. However, this is only possible when both products are small enough and fit on the print bed. To perform this step, use the function center and arrange in your slicing software. Producing in the same batch provides more convenience and saves time. Resetting and heating your printer is no longer necessary. Keep in mind that you use the same filaments for both products to prevent heat problems. Thus, this option is an indirect way to increase your 3D printing speed. 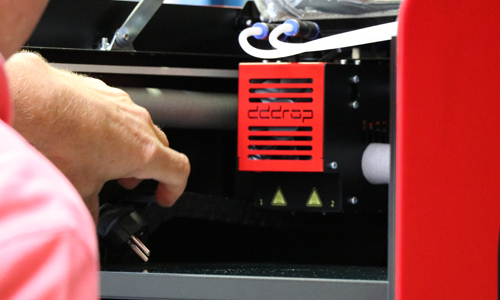 The dddrop EVO Twin 3D printer has 2 independent print heads. Therefore the printer is able to print multi-colour and multi-material. This means you can print a model of PLA and use soluble support material. However, the printer has to switch between 2 materials. Certainly when in each layer 2 colours are processed, it will take a lot of time. A solution to increase indirectly your 3D printing speed is to use 1 material for both purposes, so using PLA material as the main material as well as support material. This is a function in your slicing software. 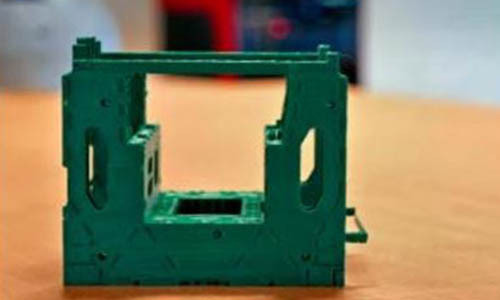 The PLA support material will be printed with a lower infill density, so afterwards it is easier to remove. In this way the printer doesn’t have to switch between 2 materials and this will save you a lot of printing time. More about printing with support material you will read here. Conclusion: increasing your 3D printing speed has an effect on your final product. It’s a matter of priorities. Do you want to save time, minimize costs or increase quality?